I always have the munchies. Not so much during the day, but definitely in the evenings. I know I shouldn’t snack late at night. I should be good. I should say no. I should capitalize on good eating choices made during the day. I should do all of these things. But don’t. The evening rolls around. I’m tired. After driving kids hither, thither, and yon for soccer practices, swim practices, and Scouts…I’m exhausted. Perhaps homework was a struggle. I often still have work to do. Or chores that didn’t get done during the day. Whatever the reason, I’m usually tired. Last week, when I made my nightly pantry raid, I found a couple of bags of chips. One was sea salt. The bright blue of the packet caught my eye. I crave salty snacks so the sea salt was right up my alley. I love the crunch of chips. I opened the bag and selected a chip. The first flavor I tasted was definitely salty…sea salt to be precise. The flavor was not strong, but muted. I liked it. The second flavor was the chip itself. It tasted less like a potato chip and more like a cracker, but still had the crunch that I liked. I took a second look at the chips. I had selected a bag of Quest Protein Sea Salt Chips. It was tasty. Different to the chips I am used to eating. The chips were baked so far less greasy. Each bag of Quest Protein Sea Salt Chips has 21 grams of healthy protein with only 5 grams of total carbs. I was surprised at how short and spare the ingredient list was…Protein Blend (Milk Protein Isolate, Whey Protein Isolate), Dried Potatoes, Corn Starch, and High Oleic Sunflower Oil with less than 2% of Sea Salt, Calcium Carbonate, and Natural Flavors. Quest Nutrition’s mission is to revolutionize food and make healthy eating fun. Quest Nutrition’s first product, the Quest bar, was created to show that healthy food can taste “amazing with zero compromises.” I have tried the Quest Protein Chips in Sea Salt, BBQ, and Cheddar & Sour Cream, but Quest Nutrition also manufactures Quest Protein Bars in a variety of flavors, including, Cookies & cream, Double Chocolate Chunk, White Chocolate Raspberry, Chocolate Chip Cookie Dough, and so many more. You can also purchase Quest Pasta…Spaghetti and Spinach Fettuccine…and Quest Cravings Protein Peanut Butter Cups. 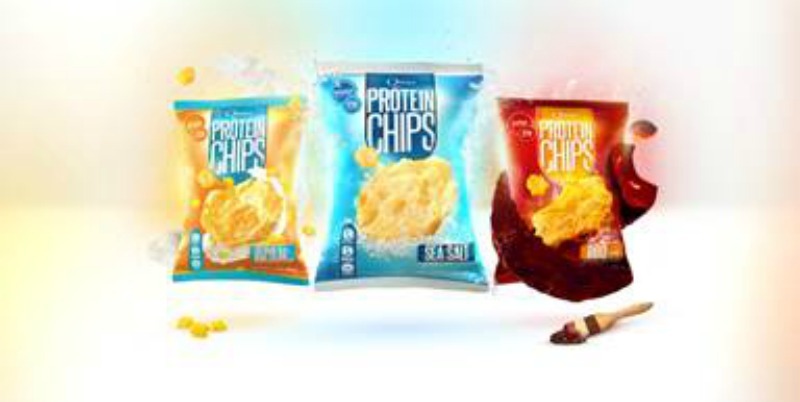 Quest Protein Chips are the world’s first high-protein snack chip. Order Quest Protein chips, bars, pasta, and peanut butter cups and have them shipped to your home or office. Learn more about Quest Nutrition on YouTube. Follow Quest Nutrition on Google+. Follow Quest Nutrition on Pinterest. Disclosure: I was sent three bags of Quest Protein Chips to facilitate my review. The views expressed in this post are my own.